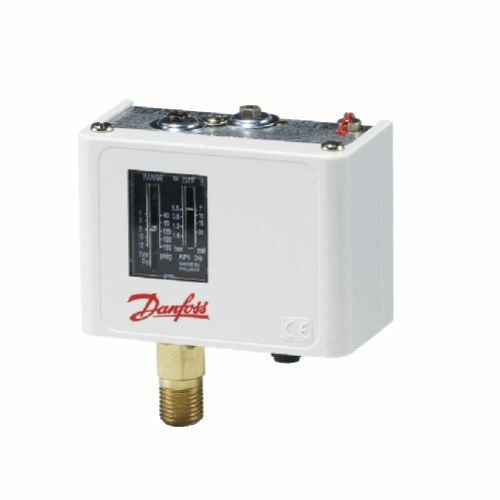 Danfoss KPI pressure switches are used for light industry. Specifically, these are for monitoring and regulating alarm systems in certain applications in the industrial field. They are suited for use in liquid or gaseous media and are fitted using a single-pole switch changeover. Pressure ranges from -0.2 to 28 bar. Using a high contact load, the device provides an extremely short bounce-time. It has adjustable differential with an IP44 enclosure when mounted, equipped with a back plate and top cover.